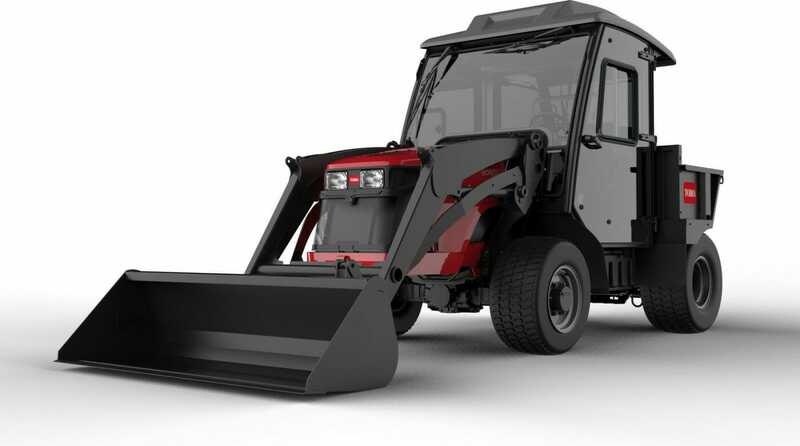 The Outcross, Toro’s first super-duty utility vehicle, which launches at SALTEX on the Reesink Turfcare stand, is a machine that’s been purpose-built to expand the operators’ capacity for work, allowing them to do more with less. Do more with less has to be the Outcross’s strapline. Operators can do more with less equipment, more with less labour, more with less headaches, and more with less time. This super-sized, super-efficient workhorse saves you more in every way and the opportunities to maximise your investment are near endless. Its sheer strength is astonishing. Delivering the power to tow 16,000lbs and an optional cargo bed that can hold 4,500lbs of materials is a 59 horsepower Yanmar liquid-cooled diesel engine. And while, you’d be forgiven for thinking that towing such a weight might damage your turf, that’s not the case with the Outcross. Unlike a tractor which can be unforgiving to the ground, the balanced chassis of the Outcross with its four-wheel drive steering functionality, in conjunction with the four-wheel drive makes sure of that. As do the wheels, which are big, to disperse the weight of the machine and its cargo, and spin individually at a rate determined by the machine’s ground speed and angle of turn. That means there’s significantly less risk of scuffing and under or over-spinning. Removing the need for front counterweights makes it significantly more delicate on fine turf than an agricultural equivalent, while its hydrostatic drive system eliminates the complicated controls and shifting commonly associated with a tractor. Operation is simple and intuitive: cruise control, shuttle shifting for clutch-free motion, a passenger seat and one-action controls add to the machine’s ease-of-use and efficiency. Plus, and this is a big perk, the Outcross brings the option of dozens of attachments to perform hundreds of tasks and accommodates multiple standard turf maintenance attachments. Loader buckets, pull-behind cylinder or rotary gang mowers, spreaders, aerators and forks can all be added thanks to a 3-point hitch with PTO, drawbar and universal loader mounting plate. And that expands the operator’s capacity for work to include mowing, spreading, loading, hauling, aerating, topdressing, towing, sweeping, pruning, blowing and chipping, all from the one machine. As well as simplifying operation this enables the operator to set up and save the parametres for up to 16 attachments upfront and one at a time, which ensures the machine performs to exact specifications every time. And the upshot is different operators go out with the same settings every time, which is good for turf managers wanting consistency.